This look is coming soon! 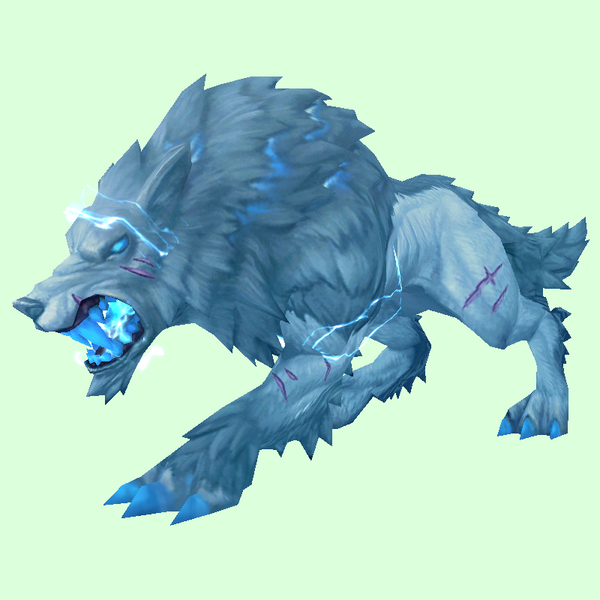 'Titanstrike' : One of the six essences of Hati that may be summoned and tamed at the Shrine of Storms after restoring Hati to life during the Spark of Genius quest chain - see our Saving Hati Guide for details. The colour of this version is identical to the one you tame in the Spark of Imagination, in the previous stage of the quest chain, which was also the default appearance he had when he was bound to the artifact weapon, Titanstrike, during Legion. There's also a vendor, Clockwerk, in the Temple of Storms who sells toys and consumables to use with Hati. This version of Hati is the one you initially tame during the Spark of Genius quest chain. He sports the default appearance he had when he was bound to the artifact weapon, Titanstrike, during Legion. See our Saving Hati Guide for details, and for a list of other essences of Hati you can tame at the end of the chain.